Dr. Srikanth Sola is a consultant cardiologist at the Sri Sathya Sai Institute of Higher Medical Sciences Whitefield Bangalore. Born in 1971 in Vijayawada, Andhra Pradesh, India, Dr. Sola’s family migrated to the USA when he was 5 years old and he grew up in a quiet part of the state of Kentucky. Today Dr. Sola is an internationally reputed cardiologist. He holds an array of professional credentials including MD, FACC and FAHA and he has acquired these qualifications from the finest of institutions in the US. Dr. Sola completed his undergraduate studies at Stanford University, his residency training and intern in medicine at Duke University Medical Centre and fellowship in cardiology at Emory University School of medicine Atlanta. He then served as a staff cardiologist at the world famous Cleveland clinic in the United States. Dr. Sola was named one of America’s top cardiologists by the consumer research council of America in 2006 and 2007, Who’s Who in Science and Engineering from 2005 to 2008 and Who’s Who in America from 2004 to 2008. Even as Dr. Sola was on top of his game, in 2008 Dr. Sola and his wife Shivani relocated to Bangalore India to serve Bhagawan Sri Sathya Sai Baba. 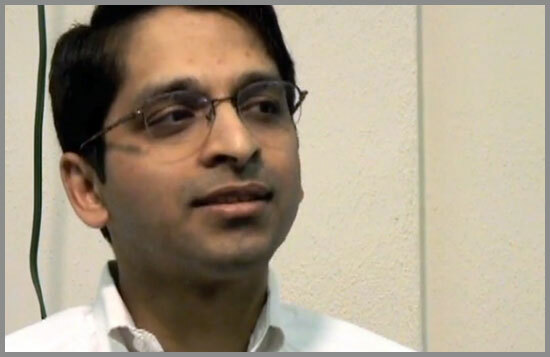 Here are select excerpts from Dr.Srikanth Sola’s conversation with Radio Sai’s Karuna Munshi. RS: Sai Ram Dr. Sola and a very warm welcome to Radio Sai. Dr. Sola: Sai Ram thank you for having me. RS: Dr. Sola your life and work stretch beyond the worlds of clinical cardiology. You delve into different worlds of consciousness and speak of the world of devas and devis and ascended masters with the same ease with which you speak of triglycerides and cholesterol control. And I understand this ability of yours to touch transcendence began very early in your life. How did it all start? Dr. Sola: The earliest memories that I have was when I was around 5 or 6 years old and was able to see things that I thought were normal. Things like auras around other people, being able to understand what other people were thinking or feeling without them telling me, being able to see what would happen although it had not yet happened. And for me this was a natural something that everyone had, I thought at the age of 5. And when I would explain it to my family members or elders they would say ‘Oh that’s nice’ as if it were just another imagination of a small child. And what happened is I sort of put that away for some time because I understood that somehow this wasn’t natural or normal and so it wasn’t until I was in college at Stanford University that these abilities started to come back again. RS: So what did you see? Dr. Sola: I could just understood what was happening, I could look at someone and say this is probably what they’re feeling, this is what they’re thinking and this is the experiences that they have had that have brought them to this particular time and place. Over time I have understood that everyone has this, it’s nothing unusual or special. It’s an ability that all of us have. I remember once Swami said in a discourse, that “There are certain centres in the brain which when stimulated allow us to receive any form of knowledge.” And He said this is how the Rishi’s of ancient times received the Vedas, so probably the same thing is happening and probably that’s what happened in my own particular case. RS: If it’s not unusual because basically all of us have it, why is it that not all of us experience that ability? Dr. Sola: Because our focus is elsewhere, our focus is outside of ourselves. RS: But consciously you didn’t focus somewhere within you at that young age did you? Dr. Sola: Probably what happened is I learned to focus within, I found so much silence and so much peace and joy within, that an inner focus developed at quiet an early age, quite naturally by itself. RS: When you say you could see things, was it something like Manoj Shyamalan’s movie The Sixth Sense, where the little boy could see other beings? Dr. Sola: No it was really no big deal actually. It was just like how when we look around ourselves and see other people, see other activities it was like that only. It wasn’t anything supernatural or extraordinary in any way but it just allowed me to understand what others were thinking and feeling quite easily. RS: By the time you made it to Stanford University you were more adept at this? Dr. Sola: Probably what had happened is during childhood and adolescence I turned it off because it was just too different from what others around me were experiencing so I just turned it off maybe consciously or unconsciously. And then one year that is during my second year in college during the summer holidays, I happened to take a summer job in the Lake Tahoe region of California in the United States. This is a beautiful area of the Sierra Nevada mountains. And I was working at a summer camp teaching art classes, I was a very good artist as a child and in my teenage years. And during my days off I would go hiking in the mountains that surrounded the place where I was staying. Just beautiful — no people, no nothing, except trails, mountains, woods and forest and it was there that I had experiences of profound peace and stillness. And I knew that there was something, I couldn’t put my finger on it yet, I didn’t know what it was but I just knew that something more was there than what a typical 18 or 19 year old young adult would have experienced. And it wasn’t until later maybe in another year or so after that, that I heard about Swami. RS: And how did that news or that awareness arrive? Dr. Sola: I was just flying back to India to visit my family members and it just happened that the person sitting to my right side was a Sai devotee and he was telling me that he was going to visit Puttaparthi to see Sathya Sai Baba. He was reading a book on Swami and he showed me the photograph of Swami. And I had seen Swami’s photos before here and there in other peoples houses, but when I saw that picture of Swami I just knew that He was that what I had been looking for ever since I was a young child. He was that one, He represented that, it was as if somebody had said ‘the sky is blue and the grass is green’. Well all of us would say ‘yes off course’ and so when I saw Swami’s photograph that particular time I said ‘yes off course’. RS: So you’re ‘aha’ moment was airborne. Dr. Sola: Exactly, some 30,000 feet above the air. RS: So when Swami came into your life you were just flying into India, did you come for a darshan then or was it much later? 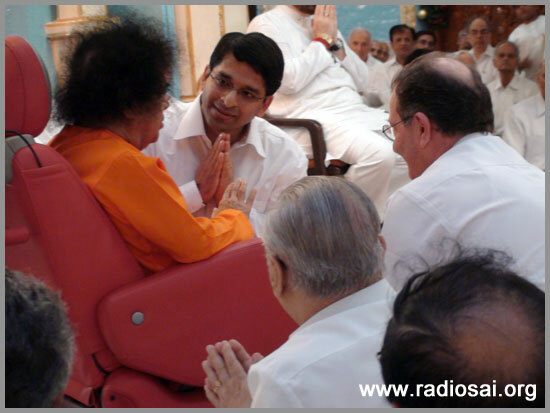 Dr. Sola: It was on that same visit, we actually had a chance to go and take Swami’s darshan. And that began the association with Swami that’s now been going in to its 25 years or so. And what we’ve learnt from Swami eventually is that Swami is us and we are Swami, there is no difference. It used to be in the beginning that we would look up to Swami and say ‘Swami is my God, Swami is my guru, Swami is my everything and that was it, there is nothing except Swami in terms of what we wanted to do. Whether it was studying that was done for Swami, whether it was taking care of patients as a medical student or eventually as a resident or then as a doctor that again was done for Swami. Now the understanding is that Swami and I are the same there is no difference. See there are in this earth some 7.2 billion people or so, roughly. That essentially means that there are 7.2 billion aspects of your self. It's all the same and Swami is one such aspect. Swami is everything, but this form of Swami is one of those aspects. So the distinction of the separation between the Srikanth Sola form and name and Swami’s name and form has gone. We don’t talk about it much because it’s not necessary, you just simply experience it. You don’t have to go and proclaim it or ask about it you just know that. And so also through sadhana and through practice one realizes that eventually you and Swami are the same, there’s no distinction. RS: So this flight when you first realized who Swami is, was in which year? Dr. Sola: That must have been around 1990 or so. The year before that when I was 18 years of age I joined a group of young adults who were cycling across the United States from San Francisco all the way to Washington DC, some 5,000 kilometers. And we would do it for charity, we would bicycle about 100 kilometers per day and we were raising money for different charitable activities across the United States and across different developing countries. And a 100 kilometers of bicycle riding everyday gives you a lot of time to reflect and to think about what you want to do. And it was on one of those days that I was cycling, coming down a big mountain that I knew that what I was going to do with this life was to serve. Now this is before I had come to Swami’s fold. Dr. Sola: I didn’t know of Swami at this time. RS: But you had found your purpose. Dr. Sola: I knew that whatever I was going to do I was going to serve humanity and that was it. RS: And you’re living it now. g from the Cleveland Clinic, imagine the world famous Cleveland Clinic and coming to Puttaparthi. I remember telling the other Sai devotees, “See if you’re not serving, your body is as good as a corpse” and I really believed that at that time. Now what happens is that service comes naturally, it’s not something that you have to think about. RS: It’s not a contrived activity. Dr. Sola: You don’t have to plan it or anything it just comes automatically, you don’t have anything else to do. It’s like your heart is always beating, your always serving. It just happens automatically. RS: But Dr. Sola, a lot of well-intentioned people say that the one thing they really want to do in life is serve but because of economic necessities they have to keep working. So basically in an ideal situation they should have enough financial security to quit their job and devote themselves full-time to service. What would you say to such people? Dr. Sola: I can share my example. 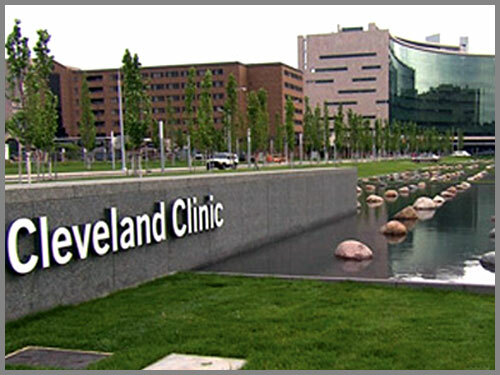 I was at the Cleveland Clinic, I was a young cardiologist. The boss, the head of cardiology at that time, is an internationally reputed cardiologist and all around me were physicians and cardiac surgeons who were at the top of their field. One day the chairman comes to me and says, “You know I have been watching you for some time and you are one of the superstars in our department and after some time I think you could probably become chairman one day.” And he was grooming me to become that. Now one day I got an email, just one of those random emails that we get, forwarded to me by someone from our Sai centre. And it was about a position for an interventional cardiology fellowship position that is someone who is training to do angioplasties and other such procedures at Swami’s hospital in Whitefield. Now I had already finished my training, I was already practicing, so that wasn’t so relevant for me but at the bottom was a single line and that line said ‘Positions for consultant cardiologists and above are also available please send your CV to such and such email address’. So I thought ‘wow’. I called up my wife Shivani, she was working and so she wasn’t available at that time. I went and saw my patients, I was taking my rounds in the hospital and she called me back while I was seeing patients, I excused myself. And I said “You know there is a position for a cardiologist at Swami’s hospital in Whitefield, what do you think?” And there was hardly a second pause, even less than that and she said “Sure off course lets go.” And that was it. There was no ‘well what do we do with our house, how do we manage with our moving, what are our families going to say’ - none of that. The chance to serve Swami had come. See it’s like this, suppose that we are all monkeys at the time of Rama and Rama comes to the group of vanaras and He says, ‘I’m going to go build a bridge and I need some of you guys to come help me, will you come?’ And many of the monkeys jump up and go but then you say ‘you know what I don’t know if I’ll be able to eat enough bananas if I’m going to go and build a bridge, what should I do? I think I’ll stay back here’. So when the Poorna Avatar has come an opportunity to serve Him comes, would you wonder whether you be able to make enough? Actually what we have found is that although we were earning a big huge salary in the United States, although we had a big huge house and our fancy cars and all those things, although we were traveling in comfort, staying in the best of accommodations, I was speaking in international conferences all across the world; but the wealth that we have here in serving Swami or rather doing Swami’s work is more than what we ever had before this. There is no comparison.